is an Algerian-American journalist and filmmaker based in Chicago. She has reported for the BBC, NPR, PRI, Al Jazeera, VICE, and CNN. Her debut short film about hijabi hair salons for the HBO LENNY documentary series premiered at the 2018 Sundance Film Festival. Her feature length debut THE FEELING OF BEING WATCHED, a documentary investigating a decade of FBI surveillance in Assia's Muslim-American community, had its world premiere at the 2018 Tribeca Film Festival. She is currently a fellow with the Co-Creation Studio at the MIT Open Documentary Lab, where she is iterating her most recent work, the Inverse Surveillance Project. Assia has a Masters degree in journalism from New York University and is fluent in Arabic. is a Brooklyn-based producer and the founder of Multitude Films, an independent production company dedicated to telling stories by and about underrepresented communities. Her latest film, ALWAYS IN SEASON was selected for 2019 Sundance Film Festival U.S. Documentary Competition. She recently produced THE FEELING OF BEING WATCHED (Tribeca 2018), dubbed “a real-world conspiracy thriller” by Variety, Cinema Eye-nominated ROLL RED ROLL (Tribeca 2018), LOVE THE SINNER (Tribeca 2017), and Critic’s Choice-nominated SPEED SISTERS (Hot Docs 2015), which The New York Times called “subtly rebellious and defiantly optimistic.” Additional credits include CALL HER GANDA (Tribeca 2018), NAILA & THE UPRISING (IDFA 2017), Peabody Award-winning MY NEIGHBOURHOOD (Tribeca 2012), and Ridenhour Prize-winning BUDRUS (Tribeca 2010). Jessica co-founded the Queer Producers Collective, produced Doc Society’s Queer Impact Producers Lab, and was a Sundance Edit and Story Lab fellow, Women at Sundance fellow, and Sundance Creative Producing Lab advisor. is an Emmy-nominated documentary editor and a Sundance Edit and Story Lab Fellow. Her recent work includes the award-winning feature documentary SPEED SISTERS (HotDocs 2015), LOVE THE SINNER (Tribeca 2017) and the web series THE SECRET LIFE OF MUSLIMS (Peabody Finalist, Vox and USA Today, 2016). Rabab has also edited numerous documentaries commissioned by the Al Jazeera Documentary Channel, including ENEMIES OF THE SOUTH (2015), which was featured in multiple prime-time slots on the network. In between projects, Rabab has dedicated a significant amount of her time helping aspiring editors and filmmakers, through training and pro-bono consultations in the Middle East, West Africa, and the Balkans. Rabab speaks English, Arabic, and Hebrew fluently and currently lives in New York. is a Singapore-born, Chicago-based documentary filmmaker with a passion for social change. She has worked on films like RADICAL GRACE (2015, dir. Rebecca Parrish), IN TIME TO COME (2017, dir. Tan Pin Pin), and films by the award-winning Chicago media collective Kartemquin Films such as IN THE GAME (2015, dir. Maria Finitzo), and AMERICA TO ME (2018, dir. Steve James). Shuling’s film GROWING ROOTS (2015) premiered on the Discovery Channel. She is now directing her first feature-length documentary, UNTEACHABLE, which was selected for Good Pitch² Southeast Asia 2017 and won Best Pitch at the CNEX Chinese Documentary Film Forum 2017. Shuling is a Kartemquin Films Diverse Voices in Docs Fellow, a participating filmmaker at the BRITDOC Queer Impact Producers Lab, the DocNet Southeast Asia Strategy Workshop and the KOMAS Video For Change Forum. is an artist and writer in New York. Her memoir, Drawing Blood, was published by HarperCollins in 2015. Brothers of the Gun, her illustrated collaboration with Syrian war journalist Marwan Hisham, will be published by One World/Penguin Random House in May 2018. Her reportage has been published in the New York Times, New York Review of Books, The Paris Review, Vanity Fair, The Guardian, VICE, and elsewhere. She has been the recipient of a Yale Poynter Fellowship, a Front Page Award, and a Gold Rush Award, and shortlisted for a Frontline Print Journalism Award. She is often asked to discuss her work chronicling the conflicts of the 21st Century, and has appeared on All In with Chris Hayes, Amanpour, NPR, BBC News, PRI, and more. The New Yorker described her 2017 mural "The Bore of Babylon" as "a terrifying amalgam of Hieronymus Bosch, Honoré Daumier, and Monty Python’s Flying Circus.” Her art is in the permanent collections of the Museum of Modern Art, the Rubin Museum of Art and the New York Historical Society. Puerto Rican-born composer and multi-instrumentalist Angélica Negrón writes music for accordions, robotic instruments, toys and electronics as well as chamber ensembles and orchestras. Her music has been described as “wistfully idiosyncratic and contemplative” (WQXR/Q2) and “mesmerizing and affecting” (Feast of Music) while The New York Times noted her “capacity to surprise” and her “quirky approach to scoring”. Her music has been performed at the Bang on a Can Marathon, the Ecstatic Music Festival and the 2016 New York Philharmonic Biennial and she has collaborated with artists like Sō Percussion, loadbang, the Albany Symphony, Face the Music, A Far Cry, and American Composers Orchestra, among others. 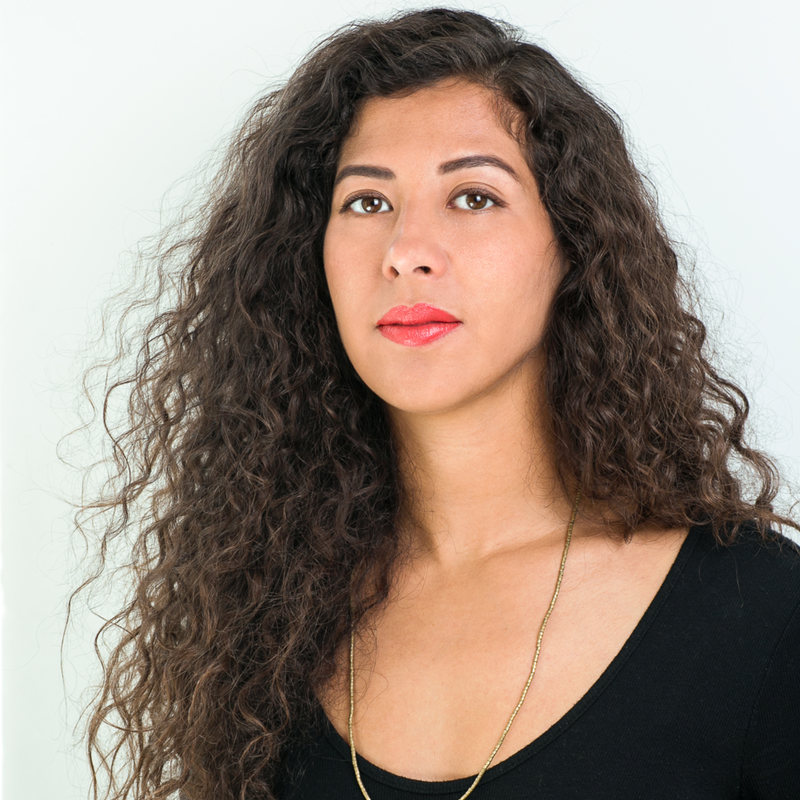 Angélica is currently a doctoral candidate at The Graduate Center (CUNY), where she studies composition with Tania León and focuses on the work of Meredith Monk for her dissertation. She's a teaching artist for New York Philharmonic's Very Young Composers Program and Lincoln Center Education working with learners of all ages on creative composition projects. Angélica is currently working on a lip synch opera titled Chimera for drag queen performers and chamber ensemble exploring the ideas of fantasy and illusion as well as the intricacies and complexities of identity.